Proud to be a sponsor of Seeds to Silverware. A farm to table initiative. Cool event. Cool people. ***FREE*** ***FULL VIDEO*** Full Medicaid Crisis Planning Seminar for your viewing, free of charge. Latest updates to the new office. Flooring is down and countertops installed. ***Beware of SCAM CALLERS!!! *** Ms. Dianne had one today. STF Chapter Review Series: Chapter 10: The Role & Benefit of Technology in Elder Law. Office Update: Carpet almost done! 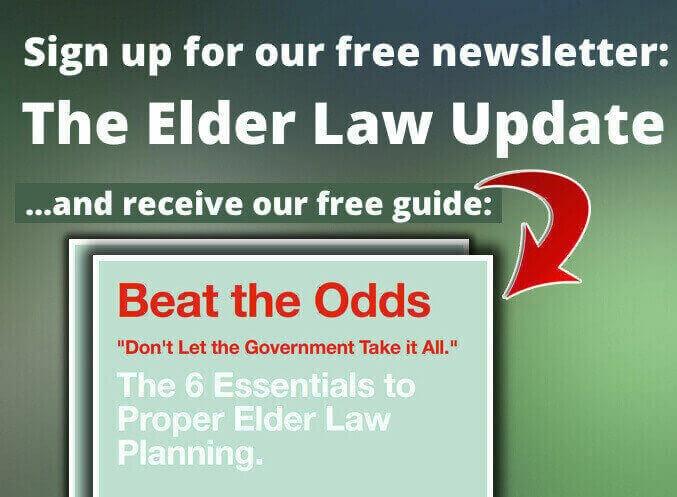 How to pay for assisted living care, right here on The Elder Law Report!